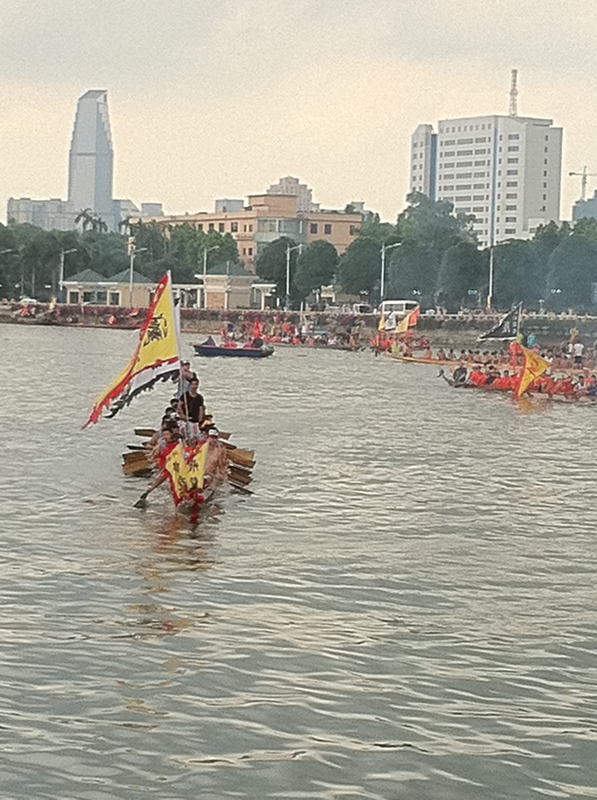 All week this past week, we woke up to the sound of insistent drums and the cacophony of firecrackers, signalling the beginning of Dragon Boat Festival season. 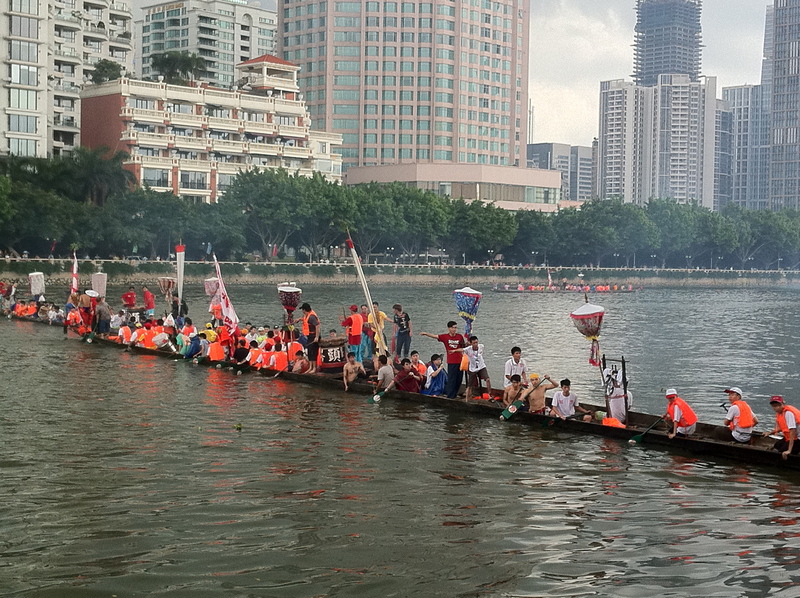 So, this morning after a late breakfast, we strolled out of our compound and, along with other curious onlookers, hung out at the Pearl Riverside promenade, where we cheered for the various dragon boat teams competing in heats in preparation for the finals on June 30th. 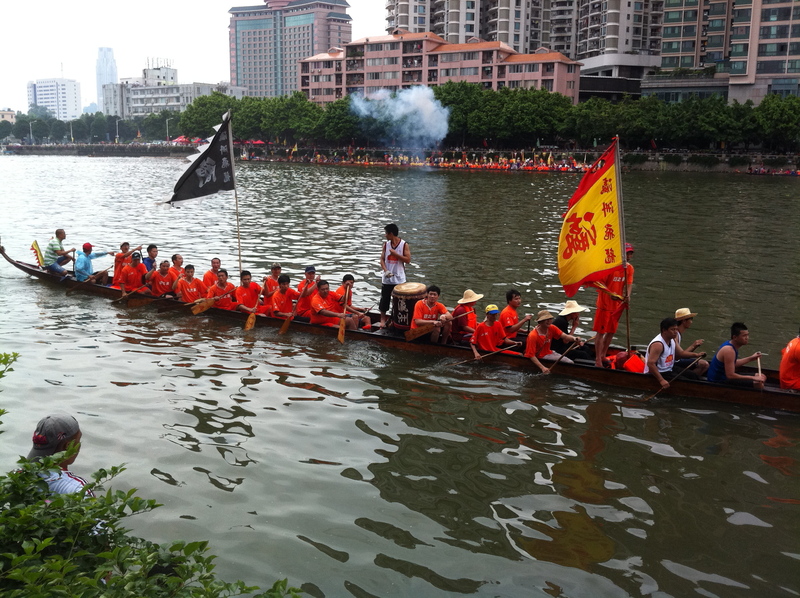 Intermittent rainshowers and gloomy clouds dotting the sky failed to dampen people’s spirits as the dragon boat racers smiled and waved back at us. 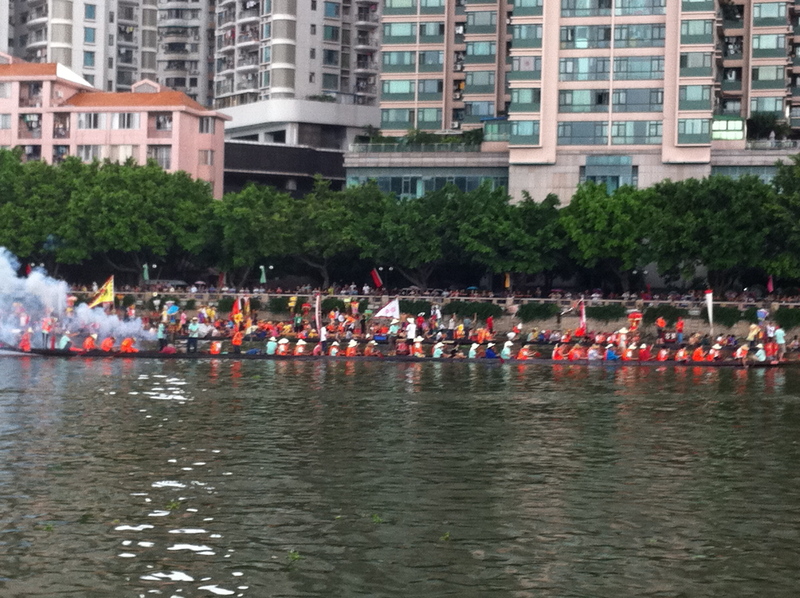 Such a festive spectacle! 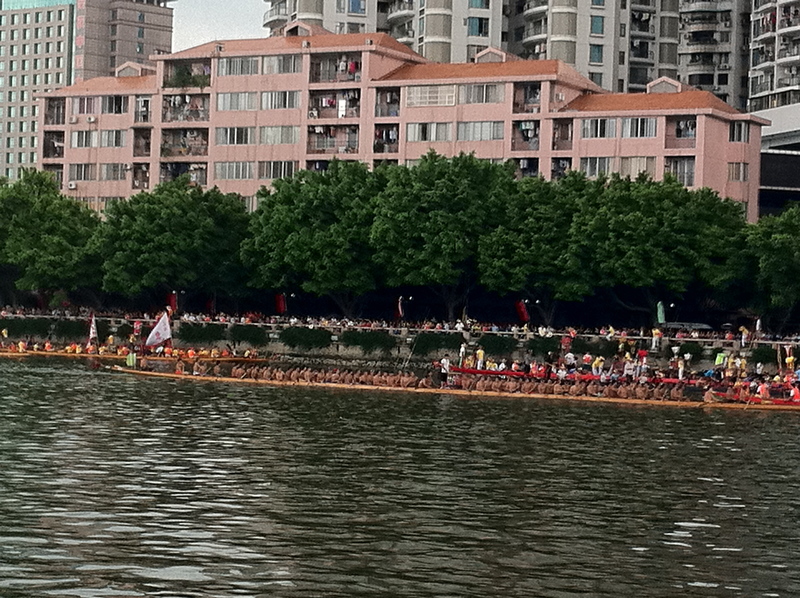 Are you watching any of the dragon boat races and enjoying your “zongzi” (dragon boat dumplings) this weekend?